Sheriff Nathan Lewis reported at 12:30 am this morning that the Ochiltree County Jail escapee, Richard Aguirre Jr., had been captured. 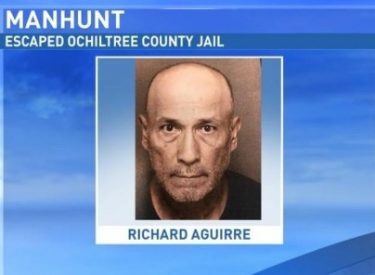 He has been on the run since just after 10 am Wednesday morning, when he escaped as he was being returned to the jail following a medical appointment. Aguirre had been in custody since March 17 on a charge of aggravated assault with a deadly weapon.